Federal government websites always use a .gov or .mil domain. Before sharing sensitive information online, make sure you’re on a .gov or .mil site by inspecting your browser’s address (or "location") bar. This site outlines initiatives on openness, transparency and public participation, pursuant to the U.S. National Action Plans. We the People: One of the first and most prominent open government commitments, the We the People petitions site has led to major reforms in the United States and has also offered two-way engagement for millions of users. Data.gov: Opening data to the public has a wide ripple-effect. 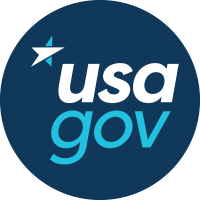 Data.gov today is home to approximately 200,000 datasets for industry, academic, and other use. USAspending.gov: Transforming nearly $4 trillion taxpayer dollars into Open Data, so taxpayers can see the breakdown of where their dollars go in government.